10,001 Titillating Tidbits of Avian Trivia by Frank S. Todd 660 pp, pb. To pass the time during 25 seasons spent in polar regions, Todd scoured bird books and collected facts from fellow bird people. Index of topics. Fun book for the person who thinks he knows a lot about birds. Questions appear in one section of the book and the answers appear at the end of the book. *** only 1 copy left. Handbook of Waterfowl Identification by Frank S. Todd 104 pp, pb, color drawings & b/w illus. Contents: description of wild species, distribution maps, weights, clutch size, incubation, fledging period. Good identification book. Keeping Quail 4th edition by Katie Thear 95 pp, pb b/w photos & illus. Contents: breeds, housing, feeding, management, breeding, rearing, practical tips. Pheasants & Waterfowl, A Guide by Danny Brown 248 pp pb, c pict. Covers management, housing, feeding, & breeding waterfowl & pheasants; fantastic pictures of some of the early peafowl mutations. *** Only 1 copy left. ABA Bantam Standard 2014 ed. 305 pp, hc, color photos & b/w illus A new edition will be available fall, 2018. 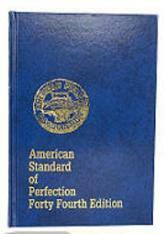 APA Standard of Perfection 44th ed. (2016), the latest edition Hard cover, c plates of all standard & bantam poultry & domestic waterfowl breeds. Book of Geese by Dave Holderread 209 pp, pb, b/w photos, illus. Description of domestic breeds, how to breed & raise them written by a man who has bred & shown award winning geese at shows for years. Call Duck Breed Book by Sheraw (revised 2nd ed.) - ABA pub. 144 p, pb, app. 100 c & b/w photos, illus. 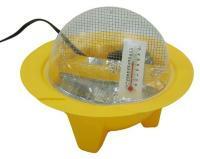 Contents: history, breeding, nutrition, hatching, brooding, conditioning, selecting for shows. Field Guide to Chickens by Pam Percy pb, 142 pp 60 detailed breed profiles with color pictures plus an interesting history of chickens. **** 5 copies left. 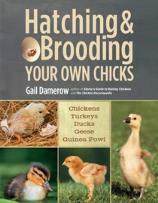 Hatching & Brooding Your Own Chicks by Gail Damerow 240 pp, pb, c photo & illus. Contents: choosing an incubator, proper set-up & sanitary conditions, embryonic development, & brooding and caring for chicks. Illustrated Guide to Poultry Breeds by Carol Ekarius 224 pages with info about 128 birds photos of poultry, domestic waterfowl, turkeys, guinea fowl, & other birds. Contents: brief breed history , description, identifying physical characteristics, and informa tion about common feather patterns makes this a must-have book. Showing Poultry by Glenn Drowns 88 pp. pb bw illus. 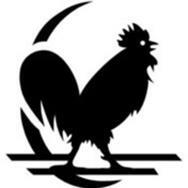 Gives info about what judges look for at shows as well as cage taming, diet, care, & grooming. Storey’s Guide to Raising Chickens 3rd edition by Gail Damerow 341 pp, pb, b/w illus, photos. Contents: best breeds for eggs or meat, caring for chicks, feeding, housing, health care, showing, egg collection & storage. Storey’s Guide to Raising Ducks 2nd edition by Dave Holderread 320 pp, pb, b/w illus. Description of domestic breeds & how to breed and raise them. Color breeding chart for Muscovy Ducks & Mallard-type ducks. Storey’s Guide to Raising Poultry by Leonard S. Mercia 342 pp, pc, line drawings. Covers: eggs & meat birds, brooding & rearing, poultry house plans, flock health and home processing of chickens, ducks, geese, turkeys, & guineas. 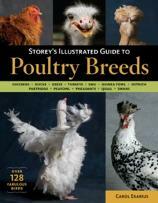 Storey’s Guide to Raising Poultry by Glenn Drowns 443 pp, pc, line drawings. This new edition covers: choosing the right chickens, expanded breed coverage, complete daily care and feeding instructions, a 2-year cycle with chickens, brooding & rearing, flock health, home processing; also has information on ducks, geese, turkeys, guineas & game birds. Baldwin’s American Breed Book of Old English & Modern Game Bantams by John P. Baldwin. 64 pp, pb, b/w illus. Types & color description; matings to obtain those colors. Cochin Bantams ABA 2014 Revised 98 pages, pb, color photos of varieties. Contents: history, descriptions & standard for the recognized varieties plus articles by noted breeders on mating, culling, markings, care, conditioning, & exhibiting. Cornish Bantams ABA 2012 Revision 76 pp, pb 4 color photos Contents: breed history, descriptions & standard for recognized varieties plus comments on breeding Cornish by various breeders. Old English Game Bantams As Bred & Shown in the US by Fred Jeffrey & William Richardson 126 pp, pb Must-have book covers breeding & showing OE. Inf. on color varieties. Good color photos of many varieties bred by top breeders and their comments on breeding that variety. The Rosecomb Bantam APA pub. 39 pp, pb, b/w photos & illus.Types, breeding, conditioning & showing, the Rosecomb standard. Contents: history, standard & color of male & female by variety & other info. pp, b/w, c pict. Contents: breed history, selecting birds for breeding pens, Wyandotte varieties, characteristics of the true Wyandotte type.